There are Different Types of Value and Capital - Fact or Myth? There are different types of value and capital beyond financial capital and value. This is to say, it isn’t only physical labor and material capital assets that have value (or that can be traded in markets), things like social relations have value as well (and their products can be considered types of capital, which can be traded in markets, and therefore can be described using logical formal economics and a dash of metaphysics). This value theory, or more specifically this socioeconomic value theory, posits that we must consider types such as: perceived value, emotional value, the value of brand recognition, moral value, sentimental value, intrinsic value, extrinsic value, informational value, functional value, symbolic value, sign value (perceived value of a commodity as opposed to exchange-value or use-value, offers a value of prestige by relation to the commodity… how fetish-y), historical value (in terms of knowing history and in terms of time increasing the value of older items, in part due to scarcity), skill-based value, strength based value, value in choosing the right pair of shoes for walking, value-sets that people have, virtues as values, the social media economy, the value or relationships, the value of owing favors, the value of debt, negative value, variable value, static value, the information economy, social labor and profit, intellectual labor, perceived value in these things, actual value of these things, the relative value between these things as equated to financial value in the money form, markets related to these things, the economics of these things, and more. Said plainly, there is a wide range of value types, and thus arises a theory of capital, value, labor, commodities, markets, and general economics for each form and its relations. Given this, it helps to categorize these things. 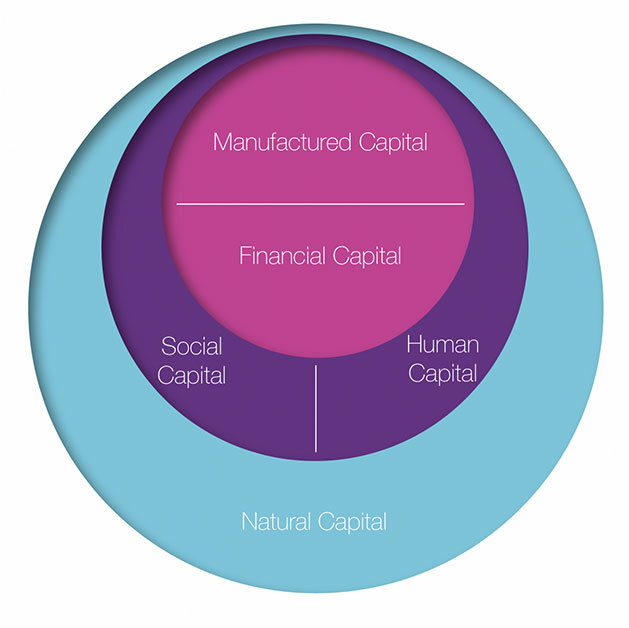 We could treat them like this, as Natural Capital (energy and raw materials), Human Capital (people’s health, knowledge, skills and motivation), Social Capital (social relationships), Manufactured Capital (processed material assets like machines), Financial Capital (shares, bonds or banknotes), subtypes of these forms, and other forms of capital. Or, we could treat them in a Kantian style as categories of “categorical goods” (pun intended) where we could denote: physical capital and value (contains all material assets), social capital and value (contains all social relations), logical capital and value (contains all information-based capital and value), ethical capital and value (speaks to the law and to the value of good ethics), and metaphysical / moral capital and value (contains philosophical ideas and emotional value). We could use the terms of Marx (Marx in the economist form), or we could use the terms of Locke (and his foundational labor value theory), or we could speak in the terms of South Park, or we could use modern terms pulled right form an Econ 2017 text book. We can, and we will do all of the above (yes, including the citing of Kant, Marx, South Park, and Econ 101). Why cite Marx? Well, not only to scare of staunch right-wingers from stealing my thoughts on value theory… but, also because Marx is an important figure in value theory. But also, here we can see that is value in our choice of words, in the economy of words, in the economy and power of symbols, in the value of logic, in human knowledge. These words aren’t just turns of phrase, they have meaning! Why then cite South Park? Because there is value in humor and value in a good analogy. Now, speaking to both these controversial choices, does it not confirm that there is negative value in citing Marx and South Park? Did this negative value not diminish my value, but did not my clever(?) use of the words and slight humility add a complexity to the equation (amplifying or pivoting that negative value)? Is my odd grammar and style here adding negative or positive value? If you only consider a dollar in the money form, then how can you even work with the factors I’m putting out there? Where are your equations? Think about it, what is this page if not information as a commodity in an indirect trade for ad rev? Am I not trading a take on the theory of value for financial value on some level? Work has been done, capital has been traded, but it is far from a traditional economic transaction. And we ignore those socio-metaphysics at our own peril. By doing this we will see the absurd folly in only considering the traditional labor and capital of classical economics. Of course, what is the folly of others if not value for us who choose to go in that direction that others don’t think to tread? What South Park Teaches Us About Economics – Wisecrack Edition. We can trade social value for financial capital by cultivating a high perceived social value. Sounds a little new-age-y, sure. But the underlying point is pure theoretical gold once you grasp it. TIP: To be clear, this page looks at economics through a broad lens considering all types of value, capital, assets, and markets. This page is notably not about personal values nor is it strictly about financial markets. It is a theory considering the interrelation of both economic and sociopolitical markets; including markets that are in no way connected to the traditional commodities markets. Financial capital is only one type of capital, and economic value (exchange-value) is only one type of value. For example we can consider social capital and the “use-value” of relationships in a social setting (or “social market”). For a farmer, the land, machines, and workers are forms of capital (each having use-value, and in turn each producing crops that have exchange-value on the market). For a politician, votes are a form of capital (a sort of use-value commodity). Social value. For a banker, debt is a form of capital (having both use-value and exchange value). Financial value (a placeholder for physical value; value in the debt form). For a philosopher, a good theory can be more valuable than gold (if the theory is published, it can, in its published form, have exchange-value that can be measured against gold; but even in its rational form it has use-value). Metaphysical value. For a thief, information on a shipment could be worth a cut of the goods (that information would have both use-value and exchange-value). Skill-value, information value. For walking through a dangerous part of town, a bodyguard’s brute strength has value too (it has use-value). Brute-value, pure physical value. Thus, not only physical commodities (in any form) have use-value and exchange-value, but many other aspects of life do as well. In other words, there are different types of capital, value, and commodities, and there are different types of markets in which these things get traded. What is it when we trade a favor for a vote, or brute force for information? What type of market is this? What type of logic should we apply? Do supply and demand still govern the socioeconomic dynamics of those markets like they do in a traditional commodities market? What are these types of capital and value that aren’t directly financial? How do we value labor, land, equipment, in general economics, and how do we compare that to the marketplace of ideas and objects (material or formal)? And importantly, how do we exchange capital between formal and material markets to create profit from “thin air”… and what’s the physics, logic, ethics, and morals of all that? Those are great questions that I can’t fully answer, but explore on this page. Below we explore the different types of capital (the different things that have social or economic value of any kind) and the different types of markets in which these capital types are traded. The Social Value Cycle. We can trade social value for financial capital by cultivating a high perceived social value. Sounds a little new-age-y, sure. But the underlying point is pure theoretical gold once you grasp it. INVISIBLE MARKETS: In the “marketplace of ideas,” information, influence, and creativity have more value than a dollar. This “social market” isn’t inherently economic, and we shouldn’t always be connecting it back to financial value and financial capital (even though that potential is something worth considering). The marketplace of ideas is only one of many “invisible markets” (a purely formal market) we don’t normally think about. THE LOGIC BEHIND THIS THEORY, AND A CONFIRMATION OF THE TERMS WE ARE USING: Consider, votes are a type of social capital that have political value to a politician. The ability to control a private military unit is a sort of “brute capital” that can be used for social influence. Because complex relations like this can be considered, there is grounds to consider them. One example of this theory being considered by someone other than us is: The Five Capitals. They did a good job, and we have weaved their concepts into our page. Their work considers: 1. Natural Capital as any stock or flow of energy and material that produces goods and services (raw materials and the processes behind them, like climate regulation). 2. Human Capital as people’s health, knowledge, skills and motivation. 3. Social Capital as the institutions that help us maintain and develop human capital in partnership with others; e.g. families, communities, businesses, trade unions, schools, and voluntary organizations. 4. Manufactured Capital as material goods or fixed assets which contribute to the production process rather than being the output itself, like tools, machines and buildings. and 5. Financial Capital plays as in shares, bonds or banknotes. This is a very good theory, the only changes we are making are 1. adding to the theory from our own viewpoint and 2. defining sub-types. In other words, this isn’t a page on their theory, this is a theory that sits along side it, both speaking to the same thing. There are different types of capital, financial capital is only one of the types. This model is from forumforthefuture.org and their theory of 5 capitals. We may not treat knowing a famous person as a commodity, but no one will deny knowing the right people has value. Here it isn’t a physical commodity taking on a relative form of value and standing as a placeholder of the value of social relations (in the way that one hour minimum wage labor is equatable to $10 USD in Washington State), it is the intangible social relation itself in its natural form that has both trade and use value (me doing a politician a favor means they “owe me one;” there is no physical manifestation of this, not even a record on a digital ledger). If we look at things this way, we can say there are many types of capital, value, commodities, and markets to consider, including the well known financial, but also social, political, health and wellness, labor, intellectual, brute, natural, and more value (all explained below; each being a sub-type of one of the 5 capitals noted above). We can also see that there can be transactions of different types of commodities between different types of markets (with the most familiar being the trading of physical labor for capital in “the money-form” based on the price and value of specialized labor, like in our minimum wage hour for $10 example). But, what is it when we indirectly buy a favor from a politician by donating to their campaign without a word being spoken otherwise? 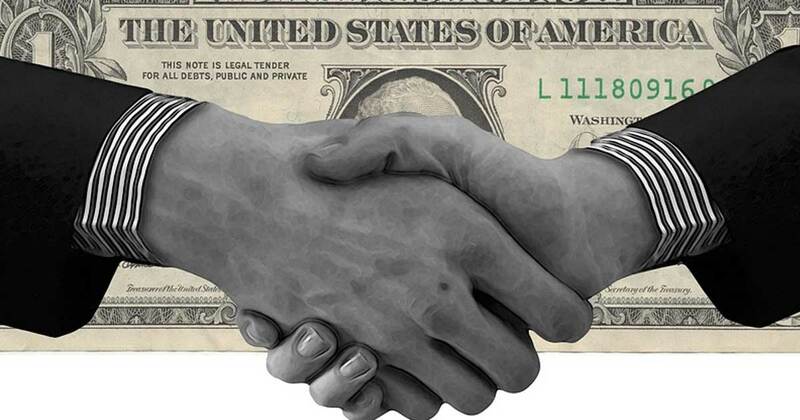 What is trading a favor for a favor in an unspoken transaction? How can we account for these grey-and-black social-markets that lack physical boxes on our tax forms? How do they relate to physical labor and value in the money form? How are the non-material forms the same or different from a physical commodity like a sheep, wool, or linen? Is there perhaps a way to profit off these social economic factors that lack any traditional means of accounting? In order to examine and illustrate the above points, and to explore and detail some of the more interesting implications, we’ll quickly take a look at classical economics and then relate economic capital to capital in different fields. TIP: While its useful and tempting to relate everything back to the money-form, I suspect we can find relative value between non-purely economic types (such as relative value between political capital and social capital). For this reason we should not conflate fiscal capital with other value types unless we are comparing it in terms of a market where there is exchange-value between the two types of commodities. TIP: This idea is different from another concept, “social capitalism,” which I define as a form of capitalism in which the end goal is the public good (rather than just profit). This is different from the focus of this page, which discusses social capital spent in social markets and compares it to other types of capital. See The Emergence of Social Capitalism: Adaptation or Threat? for another view on “social capital”. See also the article The New Definition Of Social Capitalism. In economics, there is capital and labor. Capital and labor are “the factors of production“. Capital (AKA the means of production) is well-defined as all non-human assets like companies, stocks, paper money, raw resources, manufactured resources, and land i.e. “commodities”. Likewise, labor is all human assets including workers themselves (labor force, the entities that work), the ability to do work (labor-power, the commodity the worker trades the capitalist in exchange for wages), and work that is done (labor or just work). Further, a commodity is anything that is useful to a person (so broadly we can consider labor power and all forms of capital commodities). Further, a commodity has use-value if it can be used, and exchange-value (or trade-value) if it can be exchanged for something useful in some sort of market (a place where trades happen between two or more people; and generally in which the laws of supply and demand take place). Generally speaking then, we can say that capital and labor are the two things that have exchange-value in a trade, and we can say that both capital and labor can be bought and sold on a market (where supply, demand, and other factors help dictate their trade-value). With this in mind, we can then say a capitalist is someone who directs capital and labor via different markets. Thus, we can look at the relation between labor, commodities, markets, value, and capitalism in relation to economics and trade to better understand the dynamics between these things. With that in mind, we can apply this line of thinking to other types of markets (like social markets) to better understand things like social value, political value, and more. In other words, now that we have the basic concept introduced, and now that we have the basics of economics down, we can start mashing up these ideas to better understand the different types of value, capital, markets, commodities, etc. QUESTION? Do we call the class that deals with social value and work “social labor”? Good question. I’m not sure on the naming of all this, but I am sure of the underlying truism that: modern economics fails to account for a number of capital types (and thus fails to account for all value that relates back to the money-form). TIP: To rephrase all the above in other terms: take Marx’s value theory from Capital Chapter 1 and then apply it to social dynamics and other non-economic relationships that one could say “have value” or “have worth”. Now collapse all those theories back into one theory that treats labor as a commodity (in as respectful way as possible; sorry Thomas Piketty’s Capital in the Twenty-First Century who pointed out reasons not to treat labor as a form of capital in his brilliantly written book, but for this theory treating social labor as a commodity is going to tie things together, so we’ll have to avoid being overly PC). Factors of Production (Resources). Land/raw materials, labor, capital and entrepreneurship are “factors of production” in any historical era in both the state of nature and in civil society of any type. In this theory, we will consider all these things as types of capital although we wouldn’t for a strictly economic theory, such as the idea that labor gives capital value. Land and materials = natural capital; labor and entrepreneurship = human capital. Meanwhile, Obama’s Rolodex represents social and political capital that can be “spent” in social and political markets…. so then, the “social” factors of production…. not to be confused with having much of anything to do with socialism… I’m describing a capitalist theory here. As noted above, there are different types of value beyond financial value. The simplest example is social value, where a social relationship (unconnected from any traditional market; such as in “dating”) is a commodity. Here labor is an act of building social relationships, and the marketplace is any social setting. We can then apply this to any field. For example, Brad Pitt has social value, President Obama has political value, and Bill Gates’s portfolio has financial value; each can trade their accumulated value via their respective capital assets in a range of political, social, financial, etc. markets. Each of these value types has different types of usefulness and different trade values depending on their timing of a given market and other factors. Now, with all that covered, you should have the basic idea down. Now, we’ll drop the explainers and simply define terms related to different types of the types of value, capital, assets, markets, etc. First, we’ll start with broad definitions of value, asset, capital, and market to pair with the other concepts on this page. What is Value? What is an Asset? What is Capital? What is a value? Value is worth (or in German “wert”). A U.S. dollar is worth $1 (it can be traded for other things worth $1; it has $1 in relative trade-value to $1 worth of another commodity). A working hour is worth X to the employer and Y to the employee. Will Smith has a great deal of social worth and his talent gives him human worth or the ability to do high-value work. His notoriety also allows him some modicum of political worth too, as an influential person is more likely to pick up to phone for Will Smith than Joe-the-no-name-actor. There is expected-worth, which is worth we think we’ll get, or the market thinks we’ll get, typically based on empirical evidence, and actual worth which is realized when an asset is traded on the market. Importantly there is also perceived value or perceived-worth, which unlike expected worth, can be thought of as not being empirical and can be speculative or even complete fiction. Bernie Madoff and ENRON had perceived value/worth which they traded for financial capital assets! The more worth a person controls, the more value a person and their collective assets have, or are perceived to have, or have in practice, the more trust, respect, power, and influence they have. This means there is something that can be described as “the aristocracy of worth” (like Arete is for virtue, this overarching value is to worth). A person’s collective worth should be noted too. TIP: The appearance of having worth has a high value in our modern age, learn about The Society of the Spectacle. What is it when we can trade perceived value for material capital assets with exchange value and social capital? The terms shady and powerful come to mind…. but let’s put judgement calls aside and focus on the underlying truism. We can rally for or against until we truly understand the mechanics! What is capital? Capital is an asset that has trade value, not just value, but value in a trade. Thus, all capital assets are commodities, but not all assets are commodities or are a type of capital (for example a picture my niece drew has no trade value, but has sentimental-value/worth and is infused with labor). For another example, a U.S. dollar is a financial asset, a type of financial capital that has universal trade-value. A phone call to a politician is “spent” when the call is made (although see below, not all capital assets are “spent” upon use). A worker always controls their own labor at the core, but in a work setting during those hours are traded for capital (labor power is traded for capital), a laborer is in this sense a capital asset of the employer (specifically their labor power is a capital asset; that is much more PC to say and more accurate). If I invite Brad Pitt to my party, this has value to me, and to the extent that his presence is doing work for me, he is certainly an asset of sorts (specifically his social labor power, or his social value and its transference to me is an asset). There are not many ways in which a human can be a capital asset to another human, but their value and labor power can be. Humans can only own themselves, but there are some indirect ways that people sell their freedom that should be considered. What is a market? A market is a group of more than one entity, where there is supply and demand for assets, and in which capital can be exchanged. Simply put, “Market” describes the environment in which trade happens or can happen. The stock market trades stocks; the marketplace of ideas trades ideas; the fundraiser is a social and political market. If I give you a dollar for an hour of your work, we have exchanged capital and labor, if you give me a dollar for an apple, we have exchanged capital assets, there was “a market” for the assets and labor. If I’m talking to Brad Pitt at a party, and you are talking to Will Smith, there is certainly a market for introducing each other; we would both get something out of that trade (in this case the value related to introducing each other to people with high social value; thereby adding to at least our own perceived social value). What is capitalism? Broadly, it is the exchange, direction, investment, and creation of all types of capital in all types of markets. It also typically implies ownership of property and self-directed exchange. Types of markets: both regulated social markets and pure free markets (here describing the amount of government regulation and oversight) are types of capitalist markets. If all production and distribution is controlled publicly, then it is Communism (an entity divvies up labor and resources, not trade, supply, and demand). In practice, most markets are hybrids and are best described as “mixed markets” or “regulated free markets” (types of capitalist markets). When the regulations are ethical, we call it a “fair market;” when the regulations benefit government officials we call it cronyism; when they benefit the state and government we call it protectionism; when the lack of regulations allow for abuses of the private market we call it corruption. Apply these concepts to all market types, social, human, natural, etc., and you have a good foundational metaphor for all types of markets. Each group of considerations below can be applied to all value, capital, and market types. Again, I’ll provide acceptable definitions, but we are applying them to a somewhat unique theory, so double check definitions before taking an Econ 101 test. This is socioeconomic philosophy, not a rehash of accepted basics. Capital assets (commodities): Goods (constant capital), labor (variable capital), and abstracts like bonds (fictitious capital). Or, to be simple, just capital (constant and fictitious) and labor (variable). Assets that can be traded are capital assets AKA commodities. This concept comes from traditional economics, but can be applied to all markets, but the terminology originates with Marx. I.E. : “Fictitious capital” was given a “snooty” name to make a point… but that aside, it is a useful concept. Its fictitious in that it isn’t a thing directly, it represents a thing. In all cases, all these are types of capital asset with value. Noncapital Assets: Assets that can’t be traded for capital. For example, the picture on the fridge your niece drew has lots of sentimental value, but little-to-no actual value in the market. Likewise, you pushing yourself to do another push-up has value to you, but isn’t a capital asset (although we could perhaps very roughly refer to some things in this class as type of commodity by denoting their indirect value; they are more just products of labor or processes of labor). Expected Value: What worth the asset should have. Perceived Value: The value an asset is perceived to have. Actual Value: The value an asset has in practice in a trade. Direct: Something that can be traded directly for other types of capital. Like a dollar. Indirect: Something that has indirect value. Like a politician owing a favor. Intrinsic: Something that has value by existing, like a dollar, a blue chip stock, refined oil, or a Clinton. Extrinsic: Something that has potential value, like a blank canvas, stock in a start-up, unrefined oil, or the average Joe. Synthetic Assets: The asset is not tangible, it exists as a relationship. A social relationship may be represented by no real object, but may still hold value and be traded. Real Assets: The asset is tangible. I don’t have to call in a favor to the dollar; it is sitting in my wallet. Fixed Capital: Capital that isn’t used up in the production of a product (in the short term). Vehicles, planes, or social value. Harry Potters magic wand. Circulating Capital: Capital that is used up in the production of a product. Raw materials, operating expenses, or a political favor. A Magic Lamp or monkey’s paw. Institutional: The capital, value, and assets of a group, like a corporation, school, or nation. Individual: The capital, value, and assets of an individual. We can consider these value types. NOTE: Most types of capital can be traded for another type of capital, based on perceived, actual, or expected value and that any asset can have more than one kind of value. Financial Value: The expected and actual amount an asset is worth in terms of financial capital. Financial Capital: An asset that has financial value.This group contains goods (constant capital), labor (variable capital), abstracts like bonds (fictitious capital), currency, a company, or generally anything that has financial value. Affects: The ability to influence things financially. It is the most used type of capital on the market. Thus, it can broadly be used to obtain almost any other type of capital, value, or asset. Example: Bill Gates has financial capital. If he wants another asset, value, or capital type, he can buy it. Most tangible assets (goods and services) from art to land, to a guy mowing your lawn, have financial value. Social Value: The “brand value” (perceived, expected, and actual value) of a person, place, or thing. Social Capital: The ability to use social value as an influence. Affects: The ability to influence social situations. Example: George Clooney has social capital. If he has a party, people show up. Natural Value: The expected and actual amount an natural asset is worth in terms of any type of capital. For instance the ownership of land rich in natural gas, or the ownership of the gas after the refining process. Natural Capital: A natural asset that has trade value as a part or whole. Affects: The ability to influence things pertaining to natural resources. Example: The large corporation who controls natural resources, via human and financial capital they can turn this into all capital types if they have enough political capital. Political Value: The brand value a person, place, or thing has in terms of influence. Political Capital: The perceived social and political value of a person, place, or thing. Political capital is largely intangible, but a generous donation or a picture with a politician can represent a synthetic bond. Affects: The ability to access people and request favors; the ability to be in-favor and not the very dangerous out-of-favor. Example: All sitting U.S. Presidents have high political value and can request high-value favors from high-value people. Human Value: The expected and actual amount a person(s’) time is worth in terms of capital. Human Capital: The amount of human talent one can access. Affects: The ability to produce and offer services in exchange for other types of capital. Example: A skilled laborer may be worth $40 an hour; An employer may have 50 Full-time skilled laborers on staff (in simple terms $40 x 50 per hour in financial capital in human capital). Can apply to any capital type, so for another example, Josh Groban has human capital due to his talent as a singer. Considerations: Humans need healthcare, education, a warm meal, a loving family, and other comforts and cares. These things don’t have direct value, but they have indirect value. Thus, a hospital or school has institutional value because, other markets aside, it betters humans. Thus it gives humans in a nation more human value which then impacts all other markets. Both Human value and institutional value have a number of indirect benefits in terms of value that don’t always have a specific capital type attached to them. Intellectual Value: The worth of ideas in terms of other types of capital. Intellectual Capital: The ability to trade ideas. Affects: The ability to innovate, organize, educate, and influence. Example: Stanford and MIT have a mix of social, human, and intellectual capital. Their ability to educate gives them value. Considerations: This also includes the degree of which you can support your positions philosophically. The Declaration of Independence has both legal and intellectual value; it leverages human, social, financial, and brute capital. Legal Value: The amount to which the law is on your side. Legal Capital: The ability to use the law to your advantage. Affects: The ability to have your position backed by law. Brute Value: The amount of perceived, expected, and actual physical force an entity has. Brute Capital: The ability to influence via force or the threat of force. Affects: The ability to coerce through force. Example: A security contractor can be hired to provide security for an event. In feudalist societies, protection is traded for security. Sentimental Value: The emotional and spiritual worth an asset (person, place, thing, idea, action, etc.) has. Sentimental Capital: The ability to offer and create assets with sentimental value. Affects: Our ability to feel warm and fuzzy can range from having no influence, to shaping the world. Adam Smith says it is a moral sentiment that drives the invisible hand. Example: A person feels sentimental about a park in town, so they raise the money to maintain it. The pin my grandmother gave me has sentimental value me, although it isn’t worth much to anyone else. TIP: The above list is non-exhaustive and should be considered alongside the 5 capitals presented above. I am sure I am overlooking types of indirect value related to human capital like the value of having a warm meal, the value of incentive, the value of pride, etc. The goal here is to do some groundwork necessary for expanding our thinking past the traditional idea of capital, the goal isn’t to create the perfect list (although ideally that will come with time). Where Does Value Originate? What Creates Value? Work creates value, or in other words, labor imbues assets and capital with value. This is as true for any market is it is for the financial market. Improving social skills, learning, doing push-ups, going to school, turning wood into a chair, etc. It all takes work; it all creates value. This doesn’t mean work always creates value, it means all value created is a product of work! Work is defined broadly using the definition of work found in physics as a metaphor for anything that creates value, which can roughly be expressed as quality of work X quality of work = value… although this overly simply equation doesn’t factor in supply and demand in markets or denote other important factors like the rarity of raw materials or the demand and scarcity of labor, etc. Still, at its core, the labor value theory of money holds up and we can say it is work that imbues entities, goods, and services with expected value. Natural capital has potential value, but it is the work that it takes to maintain it and then to turn it from rocks and dirt into commodities that create value. A student has potential value, but until they put the work in to specialize, or at least generalize, they won’t have the value to trade their labor for high wages. Instead of doing specialized work ourselves, which is impractical in terms of time and headspace, we trade capital for assets that represent the work hours of others. This allows people to organize and specialize in creating more capital, assets, and value. NOTE: Work imbues things with value, but supply and demand dictate the actual value of those things on the marketplace. TIP: If the politician never leaves their house or picks up the phone, their political capital is as good as non-existent. A dollar has value because someone created it by working, and it retains value based on confidence that more work will be done. Oil in the ground is free. It is the work it takes to get it out of the ground and into the gas tank that has value. Etc. How can one trade assets of different types in different markets to ensure a wealth of their desired type(s) of capital? How can one leverage perceived value and certain value types? How does timing in the market affect actual value? How can you bluff value to increase the worth of capital? How can you trade perceived value for capital? How can you trade an intangible fixed synthetic indirect asset with a high perceived value and a little time for financial capital with actual value? Ask a consultant or politician. How are the practices of groups different than individuals? Do they have different “values” that affect their perception of “value”? These are all good questions to think about when thinking about the different types of capital, value, commodities, and markets including natural, human, social, manufactured, financial, subtypes, and perhaps even other forms. One might assume that economics is all about financial capital, but really capitalism is about all the different capital types. Therefore, broadly speaking, there are many different types of capital to consider including political, social, and human capital. Karl Marx – Wage Labour and Capital What are Wages? How are they Determined?